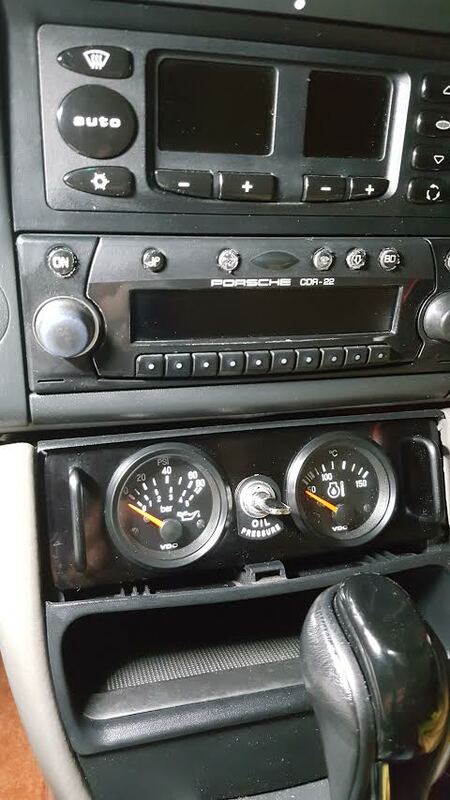 ​Here is my oil pressure and temperature gauges in the dash DIN space. It came in satin black single gauge pane with a single 52mm hole and old-timer looking,lovely to me, two side strong protruded bar handles. Premium robust quality and fit nice to the space without any modification. I made extra 52mm and center 14mm holes for a 3-terminal toggle switch to be used for on-off gauge power and the cooling fan relay control left over later. Consider that the aluminium faceplate is very thick about 8mm. Gauges ; Cockpit series with the stud mounting style from egauges.com.. The spinlock mount does not fit in that space of the Boxster. -996 oil pressure sending unit M14 mm male thread with G and WK terminals; ref. Pelican 101 projects. replaced to the factory oil pressure switch sensor at the passenger side engine block. WK to the factory oil pressure switch line connector, and G to new connector directed and crimped to the new real oil pressure gauge 10-180 ohm sensor terminal. -VDO oil temperature sensor M14mm to replace an unused stock plug at the upper surface of engine block left side. Details could be followed on responses. Last edited by bachmoza; 07-04-2017 at 04:46 PM. Looking good! I powered my gauges off the switched telephone plug wire so they don't need an on/off switch, maybe you could reuse that center switch for the fan relay for a future project? Do you have a photo of where this plug is located? Or at least try to describe it to us? Thanks. Do a search for the Pedro DOF and in the installation instructions, look for the port where they take the oil to feed to DOF. That is the port. I have an oil temp sender installed in that port, same part # as referenced in the thread. Crap. I have the DOF already. I was hoping it was a different port (for some reason it sounded different to me). Put a T on the line to the DOF! 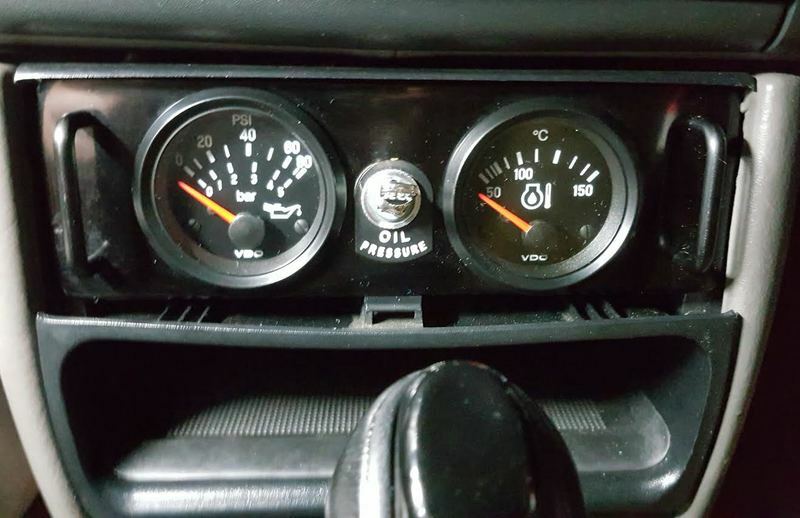 there is a thread on rennlist where they provide the schematic and coding to wire up an arduino to take the oem oil temp info that comes off the oil level sender and convert it to a vdo signal.